I’m really impressed with the new DeWalt 20v Random Orbital Sander. 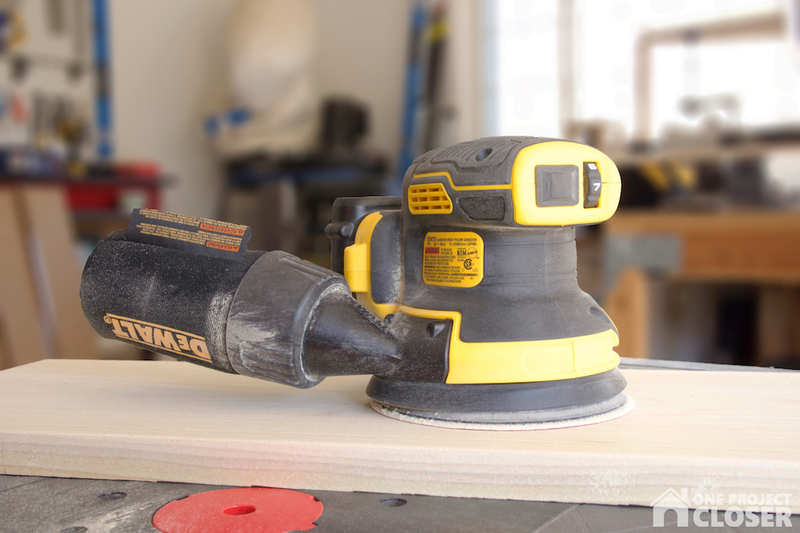 Cord-free sanding is awesome, and this sander delivers great power and runtime. If you’re in the market for a new sander and already bought into the DeWalt 20v MAX battery platform, consider the DCW210B. DeWalt sells the bare tool along with a dust bag. There’s no case or bag. However, if you step up to the kit, DeWalt includes a battery, charger, and bag along with the sander. DeWalt offers two kit options for this sander- one with a 5Ah battery and the other with a 2Ah battery. Whenever we talk about battery-powered tools, it invariably leads to a discussion on runtime. 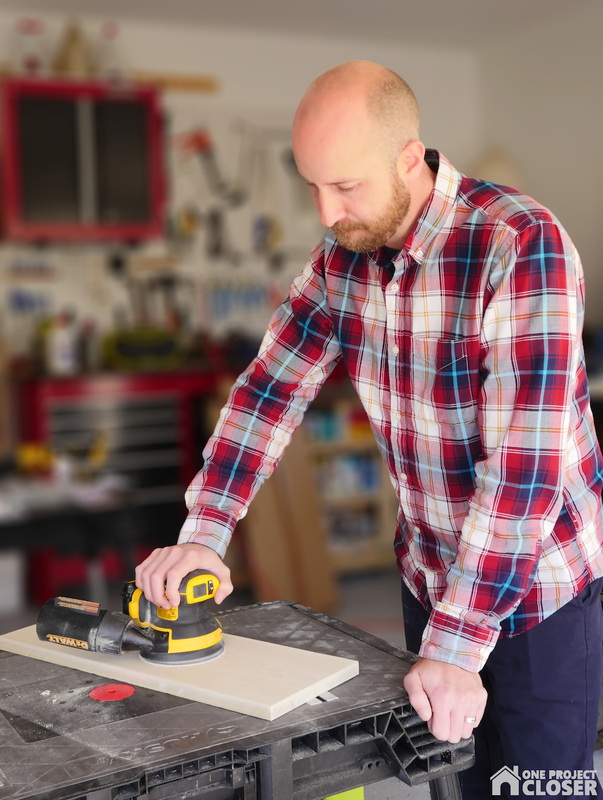 Nobody is going to switch to a cordless tool if you only get a few minutes of runtime. DeWalt knows this and a major perk of the brushless motor is improved runtime. With a 5Ah battery, DeWalt boasts almost an hour of runtime. A lot of my projects, like building drawer-fronts, don’t require an hours worth of sanding so I opt for a smaller, 2Ah battery. 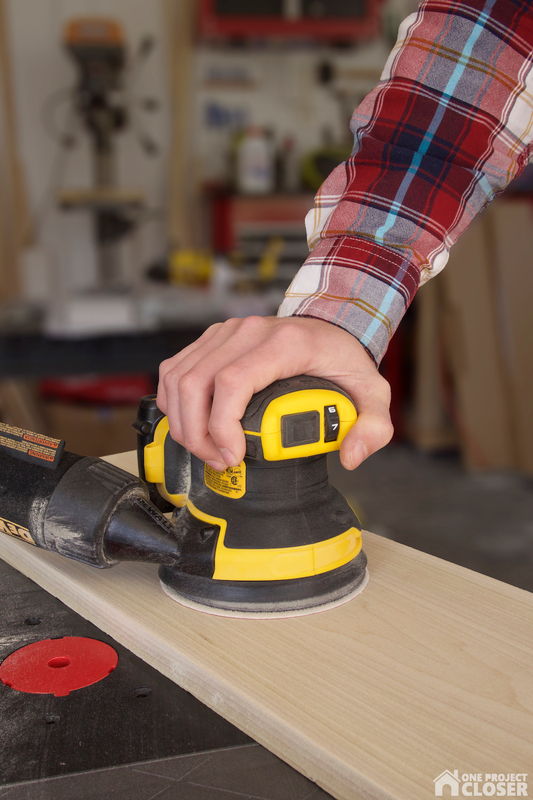 This keeps the sander more balanced and easier to maneuver one-handed. Something I immediately noticed and really like with this sander is the instant off. As soon as you flip the switch, the sander stops. There’s no waiting for it to wind down and stop spinning. I’ve been using a corded, Milwaukee sander for some time and either I have to wait until it stops spinning or I have to stop it myself (usually with my hand). The instant off is a small perk but one I really like. The dust bag can be swapped out for use with either DeWalt DWV010 or DWV012 dust collectors. Like a lot of you, I’d rather just use my shop vac and that requires an adapter (not included). The dust bag attaches easily and collects about as well as any other. The power switch is protected by a rubber boot to keep out dust. This is a must-have for any sander these days. Otherwise, you’ll find the switch fails before too long. In fact, this sander features a dual sealed switch for longer switch life. Right next to the power is a variable speed dial ranging from 8,000 – 12,000 OPM for a variety of projects. Another concern with sanders is the amount of vibrations transmitted to the user. Too much vibration quickly leads to hand fatigue, and manufacturers are working to reduce that. This is something tough to measure in a shop. However, I felt that the DCW210B was very good in this regard.